MEXICO CITY • A new Barbie doll based on famous Mexican artist Frida Kahlo has triggered a ruckus, with its sale banned in Mexico amid a fight over who owns the legal right to use her image. Distant family members of Kahlo have alleged that toymaker Mattel does not have the right to manufacture the dolls. The temporary injunction granted by a Mexican court bars Mattel and department stores in Mexico from selling the doll until the battle over image rights is resolved. "I am delighted because I believe that justice has been done. We are the Kahlo family who holds the rights for all these things," Kahlo's great-niece Mara de Anda Romeo told Agence France-Presse. She said the case was not just about image rights. The family wants the doll redesigned to accurately reflect who the artist was. 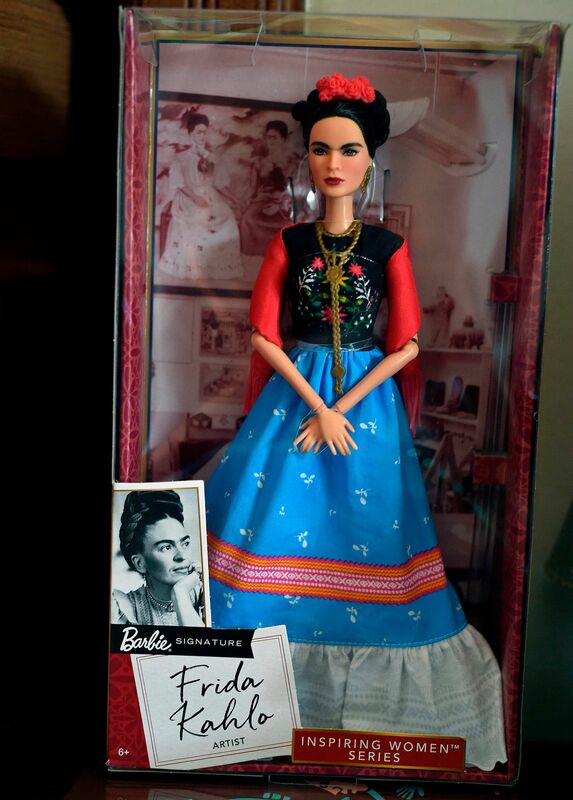 "It should have been a much more Mexican doll, with darker skin, a unibrow, not so thin because Frida was not that thin… dressed in more Mexican clothing, with Mexican jewellery," she said. Mexican actress Salma Hayek, who played Kahlo in the 2002 biopic Frida, has also given the doll the thumbs down. Mattel launched an "inspiring women" series of dolls featuring the late painter last month. The firm said at the time that it had reached an agreement to manufacture the doll with the Florida-based Frida Kahlo Corporation, which says on its website that it owns the trademark rights to the artist's image worldwide, having bought them from Kahlo's niece Isolda Pineda, reported Reuters. Kahlo's family plans to start legal proceedings to ban sales in the United States too, Ms de Anda Romeo's lawyer, Mr Pablo Sangri, told The Kansas City Star. Kahlo, considered one of the greatest painters of the 20th century, has become a pop icon with her unibrow, thick braids and embroidered Mexican dresses. Her image now graces everything from shoes to coffee mugs to tequila.